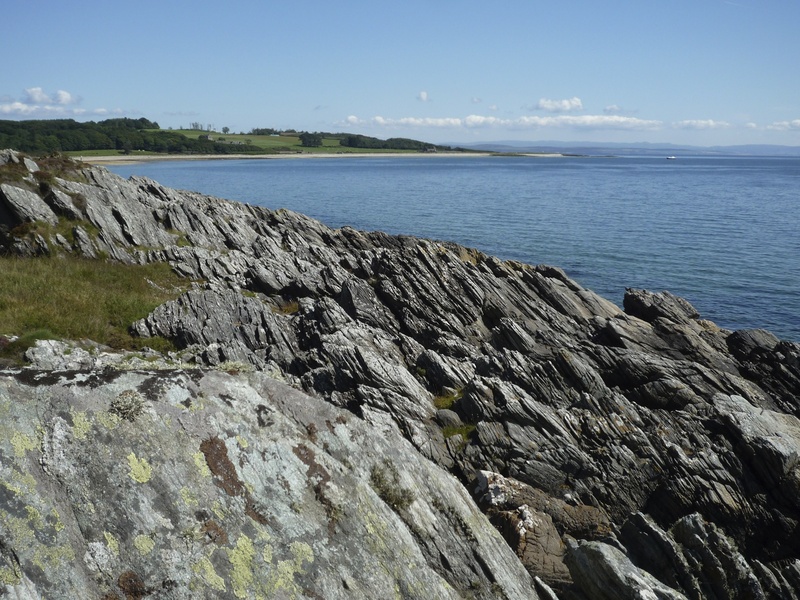 At Skipness on Kintyre, if you can bring yourself to stop before you get to the castle, you’ll find a coastline that’s quite extraordinary. The rocks are sculpted and folded like miniature mountain ranges, and here and there they are striped with bands of glistening white quartz. Lovely rocks. I do so enjoy all the patterns and textures – such a variety. Yes, so do I! Endlessly beautiful. Marvellous. That second picture looks like a design for quilting! Do they appear to be shale? 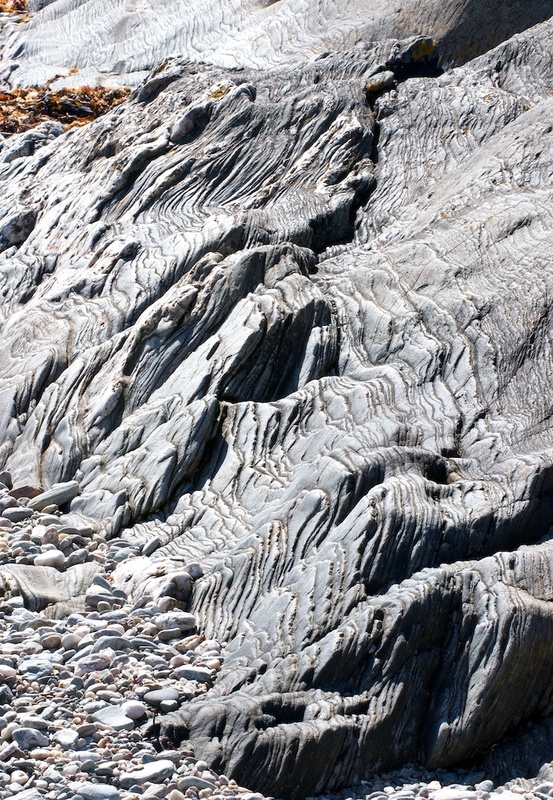 Geology has always been my favorite science, maybe because it involves more interpretation than the hard sciences. That second picture is really great. Looks like you were shooting into a lot of light. I think this rock is old sediment that’s been tipped sideways. I’ve seen a lot of that in our western deserts. Thank you, Packy! That sounds right, about the rocks. Yes, I was shooting into the light there – with my old compact camera, so I was just hoping it would cope with it! I love the flowing patterns. Lovely photographs! 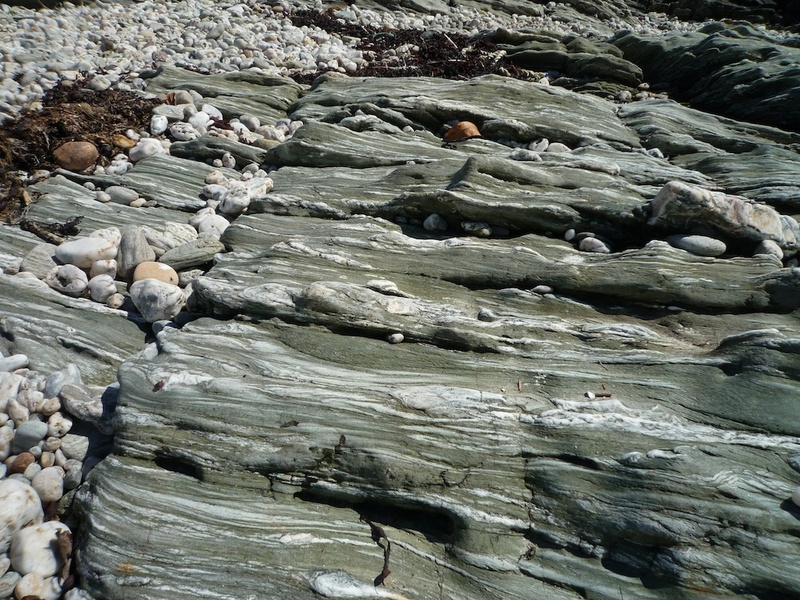 I have passed these rocks many times, they are quite remarkable. 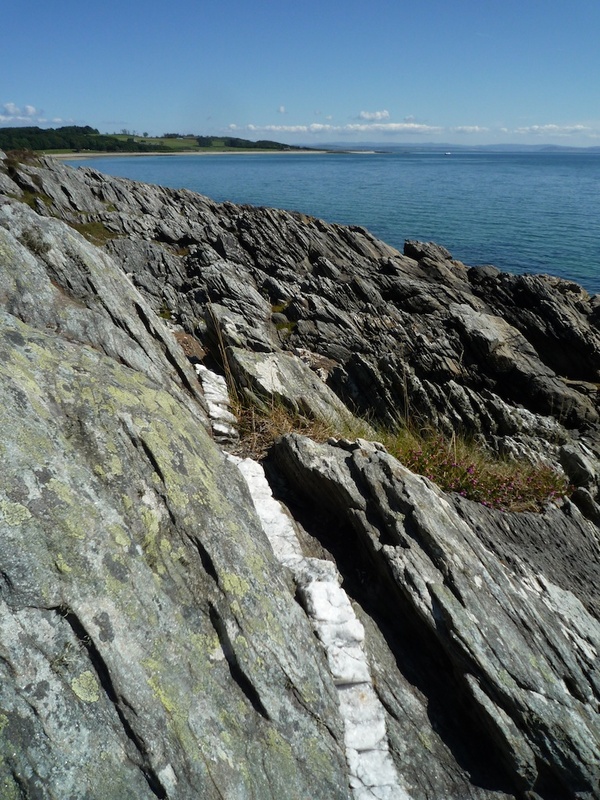 I have never actually stopped before the Sea Food Cabin in the castle grounds – highly recommended – and have never noticed the bands of quartz. Will make sure I get out of the car next time I pass by.